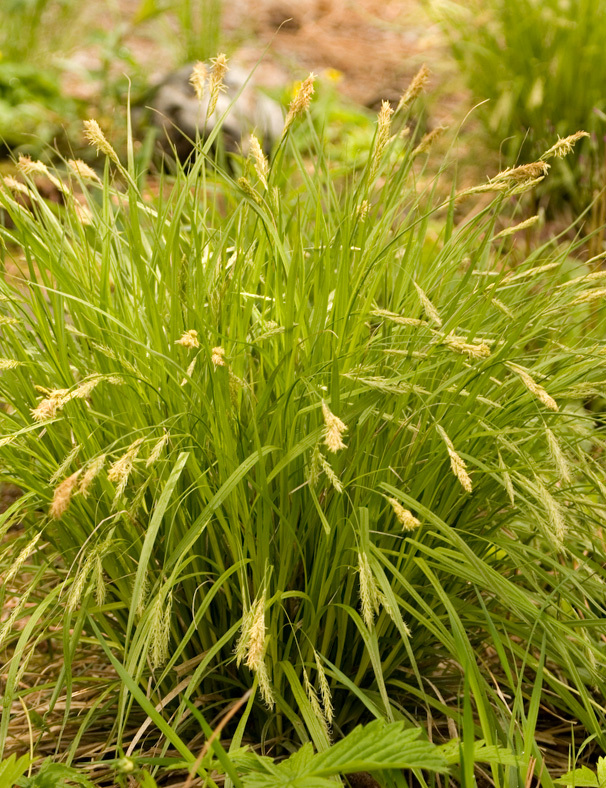 Sedges often appear to be grasses at first glance but as a rule, grasses prefer sunny locations with well-drained soils while many (but certainly not all!) sedges and rushes prefer shady, moist locations. 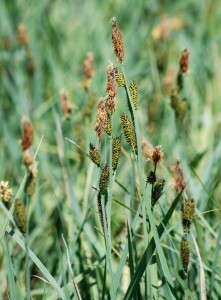 Most sedges grow in shallow water or moist soils and often form large colonies. 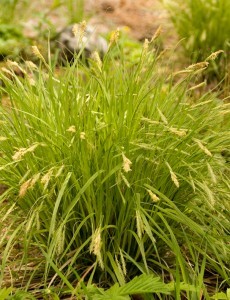 Stems of sedges are usually triangular and plants send up seed spikes that are not conspicuous. Rushes have cylindrical and hollow stem-like leaves. 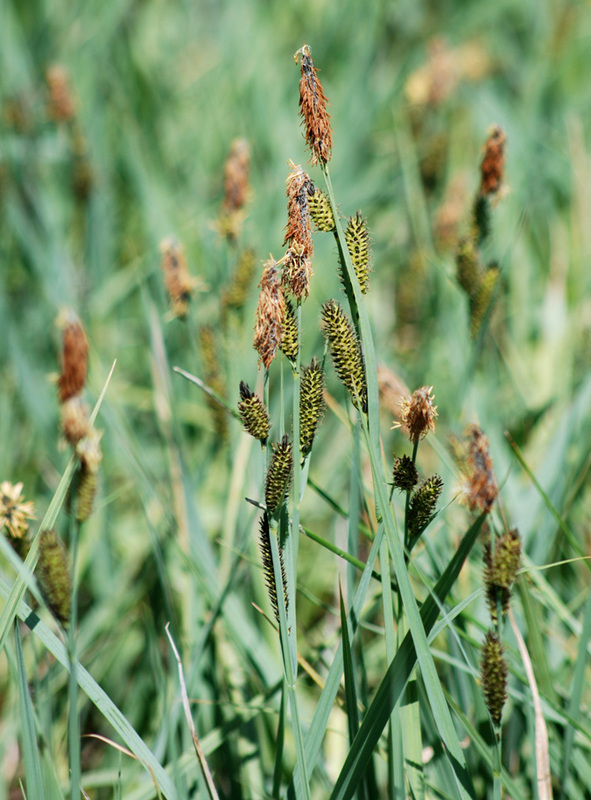 Found in wet or moist sites, there are many sizes and varieties that are often interspersed with sedges. Our sedges are grown in containers. They make beautiful container garden plants or are useful in establishing plants in a wet or boggy area needing reestablishment.